I know what it’s like doing something where you seldom hear back from others so I try and make a difference in that way. Don’t often get time to read through your newsletter so today I did, during my down time, and just wanted acknowledge how much I enjoyed it! 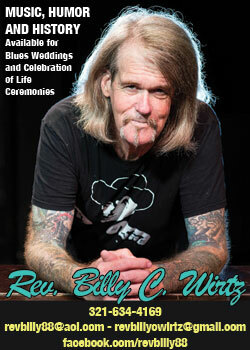 I would like to compliment The Blues Festival Guide on the excellent information provided in the magazine. I appreciate everything that is done to make this magazine special. Thank you much for your help with our first annual event! It was an Overwhelming Success! Some 1,200 people at last count came out for Blues, BBQ, and Sweet Potato Pie (they sold out!). I know you folks helped to make that happen. 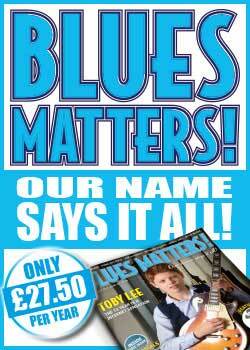 So, here’s a Great Big Shout Out to BLUES FESTIVAL MAGAZINE! PS, Your logo graced our stage and the crowds Loved having your magazine on site… we coulda used more! Thanks so much. Til next year! Yes you can change the address to my email. I did put in an order of 250 this year through that email sent to PCBS. The address is correct too. You are too good! Hahaha The Blues Society is correct too. Keep up the GREAT work in 2017 ! What A FANTASTIC PUBLICATION ! WE here in the UPPER MIDWEST always look forward to the annual issue – Be SAFE & WARM this Holiday SEASON ! ! Absolutely ! This is great. Really fast, accurate turnaround, and it looks fine. Please pass on our thanks to all who make these things happen at BFG! And thanks to you, too. I just wanted to tell you how much we all value your publication and eagerly look forward to seeing you in Memphis next week. Over the years you have really shown so much dedication to alerting everyone as to the ‘goings-on’ all over the country and for this we are grateful. Personally, if I am planning to attend one of the many festivals, you are the GO-TO guide that puts it all together. Thank you for your service to all in the music industry. Thank you, you all do a great magazine! On behalf of everyone involved with destination Blues – including the hundreds and hundreds of people who enjoyed the music this year – Thank You for your enthusiastic support of the Festival. 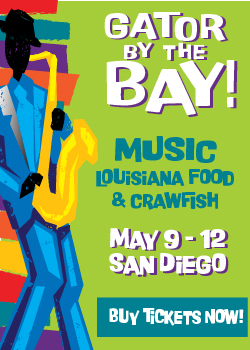 We very much appreciate a partner such as the Blues Festival Guide. We have already started to make our plans for the third annual Destination Blues, and we will keep in touch with you: We look forward to letting you know all of the details about the Festival in February 2016! Thank you for your reminder – somehow I hadn’t got round to listing this year’s Freedom Creek Festival, so your email much appreciated. Also appreciate all you do to help spread the word about the vibrant US blues scene. Thanks so much for the well-written response. After many years of publishing the magazine, RBA has earned its positive reputation amongst the industry – and we are happy to siupport your efforts. We are confirmed – print ad, everything that you originally proposed. Thank you ladies for the MBS post! Donations picked-up within a week of your post. Tomorrow’s show is shaping up nicely! I know you were very helpful to us in getting this show sold. My analytics show 482 referrals from your banners and eblast and the last eblast for the show had 61 referrals. Thank you so much! This week we sold over 50 tickets which was really needed.. Thank Thank you and you will be my first call next Blues or Reggae show! Thank you so much for this.. In the last 2 days I have seen a significant increase in ticket sales due to your efforts. MUCH appreciate your partnership. Have a great weekend! I am thrilled with the response to my ad. Thanks! I thought you might like to know that we have had an increase in web traffic since running the ads. It’s not a lot, but some. 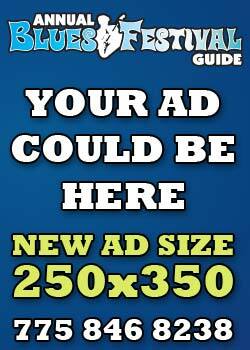 The day after the first ad ran, we had 72 hits on the blueshouserecords.com website, which is up from 5-20/day. The day after the custom eblast went out, there was an increase in traffic to about 58 hits. On both days, there were residual upticks in visits for a couple of days. About 11% were referred directly from the ad that ran, 10% from Yahoo, 10% from Earthlink, 8% from Verizon, and 49% unknown. I assume they may have been from the banner on the blues.org website, or something like that. Or maybe that where the Yahoo ones came from. I think they use Yahoo for hosting, as I do. There are a few things out there that have the website’s address on them, so that 49% undoubtedly came from places like midwestrecords.com, etc, that list the web address. We also ran an ad with another company that claims to have 17,000 subscribers with a link to the charlesdavismusic.com website and there has absolutely no increase in traffic and no referrals from their newsletter. Of course, that reveals how much more effective your newsletter is and to me says something about how many of your subscribers respond immediately to the ads. I suspect that quite a few may be like me and not open the newsletters until a day when I have time to. In terms of percentages, the newsletter seems to have driven traffic up by about 250-400%, which is a good deal to me. In terms of numbers, it’s not a lot, but in percentages, it’s substantial. Phoenix Blues festival doesn’t happen for about 3 weeks but I want you to know now how happy I am about the e-mail & the web site. They looked so good! Thank you so much for working with me and please thank Robyn especially for her patience! I will let you know how it turns out afterwards. Congrats on this milestone in publishing ! Always look forward every year to having them available to all the blues fans here in the Upper Midwest ! Has it really been 10 years ? ! ” Shameless ‘ James Dance And Stay Young ! CHERYL THE BLUES FESTIVAL GUIDES ARRIVED AND LOOK GREAT, THANK YOU. Wilebski’s Blues Saloon St Paul and Famous Dave’s Blues Club, Minneapolis. Cool, I’ll keep a look out for this Fridays Eguide. 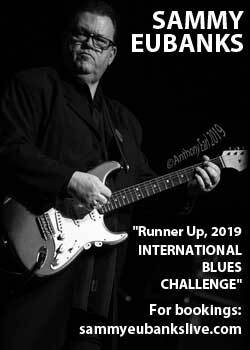 Thank you guys for being the best blues magazine in the world! Happy Birthday to Blues Festival Guide! Hi Kaati and crew…. Its a Wake up Call for me too…….Ten Years…….Wow, give us another Ten and then………Hope you celebrated with balloons and streamers, and of course, a fine bottle of Champagne. Happy Birthday, Congratulation and Happy Anniversary all rolled up in one. Thanks for Keepin’ the Blues ALIVE. Here is an interesting Marketing fact. I was looking over the website stats for Shane’s website. We average 4700 “server requests” per day. Each time we send a BFG E-Blast (for the past 3 months) our “server requests” jump to an average of 48,500 for that day. On Oct 28th we had 11,000 in just one hour (right after the e-blast went out). This number does not necessarily represent individual web hits, it represents how many times the server was requested for the website…. it could be each different page viewed, etc. But the bottom line is that our overall web hits go up 10 times the day we send an eblast. I’m getting lots of fan mail on the article (Tales From The Road) I wrote for the 2011 Festival guide mag. One letter was from Miss Blues who said she cracked up and loved it. Passed the link on to her whole mailing list. Michele, I give you a lot of credit in this popular piece. You helped me so much in getting it condensed and refined without ruining it, and your layout and color scheme and photo use and overall appearance is excellent. It makes it easy to take in at a glance and an easy read. Kaati, I know you added your advice and touches in this too, so to both of you, thanks for the opportunity and my salute for a job well done. Your “Blues Festival Guide” is one of my most favorite emails that I have subscribed to. Even though there isn’t much action in our immediate area of Freeport, Illinois, we aren’t that far from Quad Cites, Dubuque, Madison, Rockford and Chicago that we can’t see some great shows now and then. This last summer we even saw the Cash Box Kings(Love that harmonica!) live at our summer monthly downtown venue called “Music on Chicago”, where Chicago Street is blocked off for music, food and drink. Please let the rest of your staff know what a super job they do in publishing your newsletter with all its HOT links. 5/10: Wow – that’s great! I have already been getting emails from people, including CD sales, people wanting to buy tickets to my show, etc. Very fun! Thanks! Melonnee Desiree. 3-09: You guys should be so proud of what you have accomplished with this magazine. I remember when you started and I sent you my little database of festivals that I used for band booking. I’m proud to say I knew you when and I know you now! Take care, Onnie aka Lavender LaRue – hahaha! Laura: I just have to tell you that all the blues festivals and other types of wine festivals, etc. have been well supported by the magazine. Great job in getting it out. I was just checking in to be sure we were still on the list to receive copies to distribute this year. The festival guide was well received by all, a very nice publication. I noticed you all working the Bluesfirst/IBC in Memphis, I heard lots of good comments there too. Your comments mean a lot to us – keep them coming! It’s a great looking publication and frankly, sorely needed. 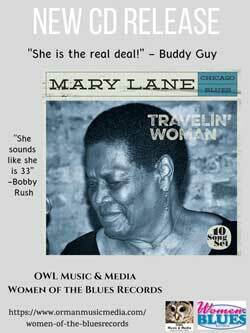 As a blues artist, I wanted to tell you how much I enjoy all of the information on your site. There is a real sense of your passion to support the Blues community. Thanks for helping keep our music alive and well. You help keep bread on the table, and for that I am very grateful. I am not sure where to direct this so that you all can get the props that you deserve, but I LOVE your publication! In promoting great blues talent, with all of the roles that one person often has to take on such as personal manager and booking agent and road manager and band counselor, band chef, clothes presser, referee, map maker, PR specialist, educator, professional nanny, etc. it really helps to have such great information compiled into one easy place. 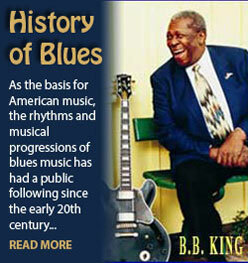 Thank you for sending the Santa Barbara Blues Society copies of your guide to give out. We loved the guide and I personally learned of events and attended them because of the guide. I would like to get the reggae guide as well. The blues guide is an excellent publication. Thank you! I got many a phone call on this; I guess your site works! The dates for the Boundary Waters Blues Festival are wrong on your site. I think you guys did a great job. Anybody who didn’t advertise in it this year will certainly consider it next year. Great feedback on the guides and even talked with Chicago fest goers from around here who were totally impressed with the book. Way to go…an auspicious beginning for the guide me thinks! Neil Sexton here and just wanted to tell you how thrilled I am with the Guide! Great work and I am thrilled that Trinidaddio is represented. Our major “postering” effort happens in early June and our folks will be taking guides with them to all locations who will accept them. Great job! 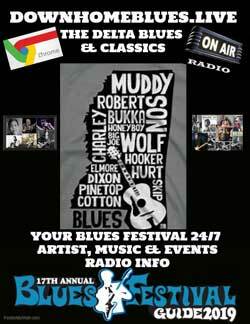 Thanks so much for contacting us about being included in your 1st Annual Blues festival Guide. Great Job! We passed them out at our monthly meeting last night and everyone was very impressed. As Deborah Coleman told me a few weeks ago, if it wasn’t for the Blues Fest she’s not sure how artists such as herself could survive because there seems to be fewer club venues for blues artists. Enjoyed the stories that compliment the ads so well. Be sure and include us next year! Just got a copy of the Blues Festival Guide! You go Miss Editor! I loved your Harmonica Matchup. I got all the right!